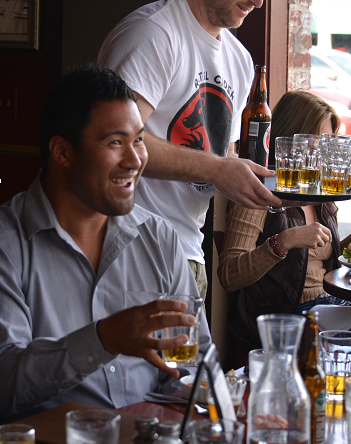 Looking for a fun way to sample an array of dishes in Monterey? Spend an afternoon with Monterey Bay Food Tours to discover, taste, and enjoy the cuisines that make Monterey so unique! 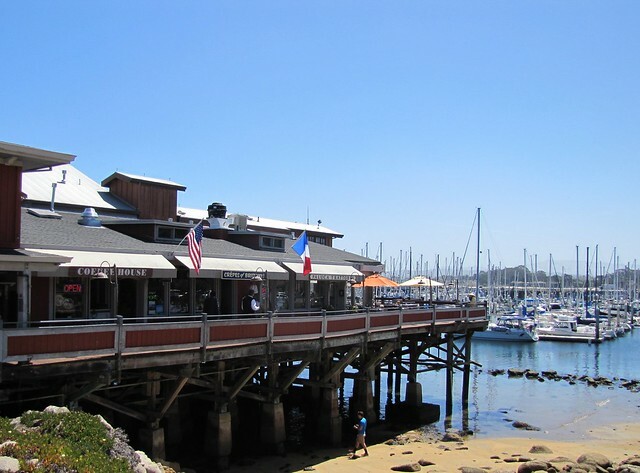 In the three-hour tour you and your foodie party will taste from over four different restaurants within Old Monterey and Old Fisherman&apos;s Wharf. Below are just a few dishes and libations that you can expect on your next food tour. Sal Tedesco, owner/chef at Paluca Trattoria, knows the Monterey fishing industry well. His father was a commercial fisherman, supplying Old Fisherman&apos;s Wharf with the "fresh catch of the day" for over 25 years. Sal serves lightly breaded and pan seared Monterey Bay sand dabs paired with local wines. Here guests can enjoy sustainably sourced seafood while enjoying views of the Monterey Bay from this quaint trattoria (a small Italian restaurant). 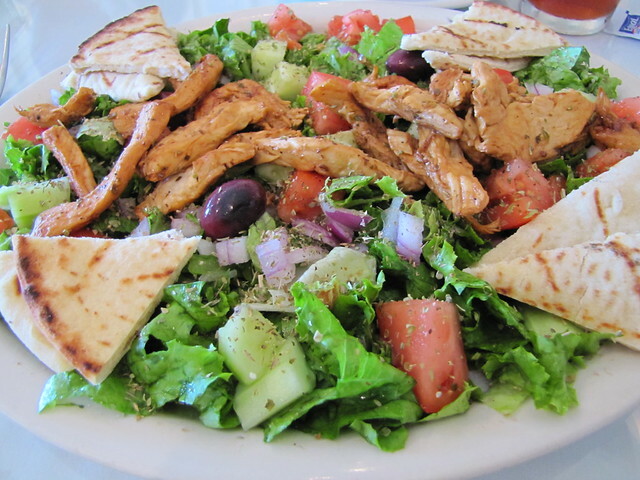 Traditional Greek salads are served at Epsilon Fine Greek Restaurant where for the past 25 years they have been incorporating the freshest produce, seafood and meat from Monterey into their authentic family recipes. Chef/owner, Chris Hix, uses green leaf lettuce from the Salinas Valley which produces over 60% of the nation’s leafy greens. At Melville Tavern sample Monterey’s only local cider! Ratel Cider owner, Bryan Laschiver, uses local apples and apricots for a crisp, refreshing beverage with a tart kick and a floral, fruity aroma that will change the way beer and wine drinkers think about cider. Colin Ling, owner of Melville Tavern, recommends this luscious cider with their delectable mole tacos. 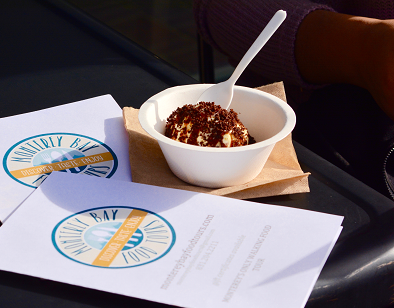 The Bee&apos;s Knees ice cream (winner of the West Coast Gelato World Tour) is the ultimate expression of what Revival Ice Cream is all about. For the Bee&apos;s Knees concoction, Revival uses unique ingredients like burnt honey, beeswax, bee pollen and organic custard. Don’t worry – if you’re not local – they ship! Schedule an afternoon with Monterey Bay Food Tours you will enjoy a leisure walking tour through Old Monterey accompanied by delicious local foods and fun historical facts along the way. Casey is the owner of Monterey Bay Food Tours, the first and only walking food tour in Monterey. She is a wife and mom to four boys, a greyhound and a bunny. When she’s not leading a food tour, she loves to travel and spend time outdoors running, biking or hiking.